While there is typically a fence or barrier that tells commercial property owners where their land begins and ends, when a conflict coming from their neighbor arises, it can be complicated or downright impossible to settle the dispute. Many times these invisible borders aren’t enough to determine where one property owner’s land begins and where the neighboring property begins. This is where land surveying comes in. It’s often assumed that when you purchase a piece of land there exists a boundary set in stone. Although this is often the case, in some cases, such as with a change of ownership, the new owner can come in and request to place a wall or fence along his property. It’s common courtesy to speak to the neighbor prior to making any changes but it’s not required. If the neighbor sees an issue with the new fence or wall, he or she can argue that it’s obstructing or interfering with his or her piece of land. They can say that it’s interfering with their view or preventing others from seeing their property, creating a blockade if you will. Moreover, land disputes often come about when property owners decide to make additions to their building such as spreading out the parking lot, adding a front entrance, or extending their offices. Bringing in an unbiased, independent party will help meddle the constant bickering. Who wants to live this way, anyway? 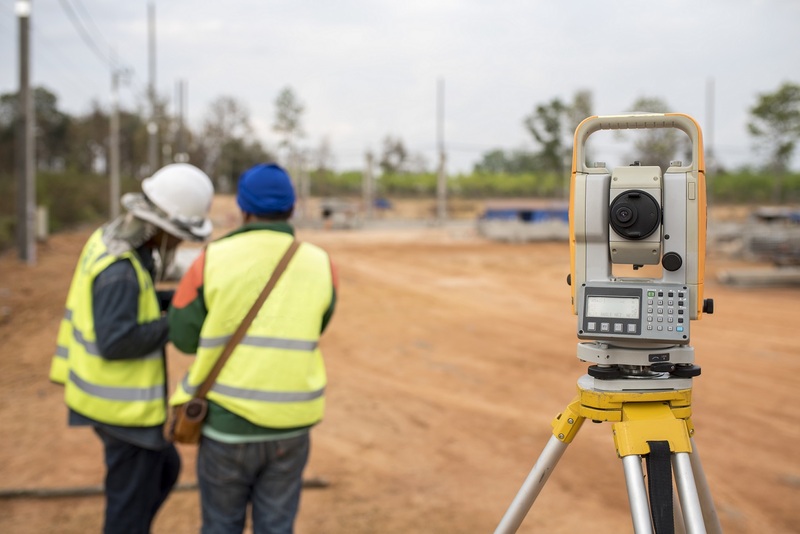 A land surveyor will conduct a physical lot line assessment and mark the boundaries that are in accordance with the local, state, and national guidelines. Although many times the land survey provides answers from a legal standpoint, if the issues get out of hand, the land survey can be court-ordered. The goal is to provide answers and have them solidified from a legal stand-point. Owning a piece of land is a huge investment. As the owner, it’s important that you do your part to protect your land. A land survey is the best way to provide answers and set the record straight. Even if your neighbor has already put up a fence, you still have the right to dispute the area it currently occupies. Lot line conflicts are quite common, which is why land surveyors are ready to settle the arguments. For professional service, contact Land-Mark. We’re licensed in Texas, New Mexico, and Arizona. As experienced land surveyors, we’ll provide the tangible and legal answers you need to keep your property protected. Connect with us today to learn more!